Woo hoo! I am inspired to try something new! 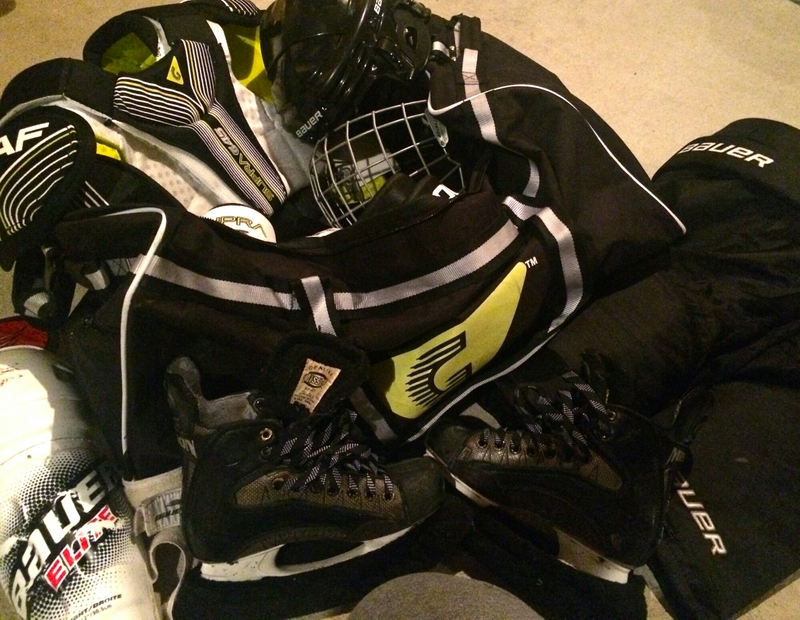 I was a goalie for 20 years, and it’s even more challenging. Chest-and-arm protectors are not made for breasts, and (large) breasts change the fit of them drastically, compromising the safety of the gear in some areas. For example, the chest area is pulled out farther, exposing your ribs to the puck. Even without it, it doesn’t take too many slapshots to the breast to make you realize more coverage there would be good. I used to buy chest-and-arm protectors with longer shoulder floaters to cover my breasts, and then cut off the arms and shorter them at the shoulder to get them to fit close to right. As for leg pads, well, at least you can get those custom made. Hockey is a wonderful sport – I have you have a fabulous time playing it!